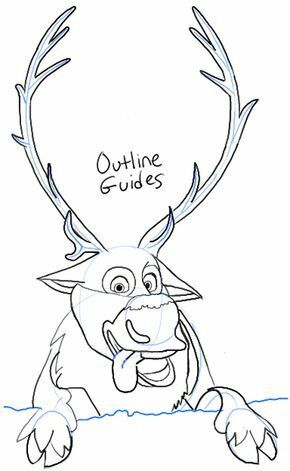 Description: Finish drawing the shape of Rudolph's head and face, and this should also include the snout, mouth and lips. Add detailing inside the ear, then you are ready for step five. Add detailing inside the ear, then you are ready for step five.